Having bad breath is stressful and embarrassing. Unfortunately, brushing your teeth more often won’t always take care of the problem. 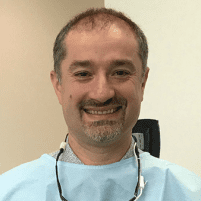 The dental professionals at A Plus Cosmetic Dentistry in Brentwood of Los Angeles, California, understand that foul breath is a tough obstacle, and they are dedicated to helping you overcome this problem. To learn more, book an appointment online or over the phone today. Halitosis is the medical term for having bad breath. While the term may seem intimidating, halitosis isn’t always linked to a serious dental issue. In the majority of cases, at-home care or dental treatment can quickly fix the issue. Some men and women may think they have bad breath, but they don’t, while others may think their breath is fine, but it isn’t. The team at A Plus Cosmetic Dentistry can determine if you have halitosis and also find the root cause. The most common causes are normally simple to fix. If you brush and floss regularly and still have bad breath, you should make an appointment with A Plus Cosmetic Dentistry. How do I fix my bad breath? In addition to these suggestions, you should also schedule regular dental cleanings. If the issue persists, the cause of your bad breath may be something more serious, and our team can help you find a solution. To get rid of your bad breath, book an appointment online or over the phone with A Plus Cosmetic Dentistry today.